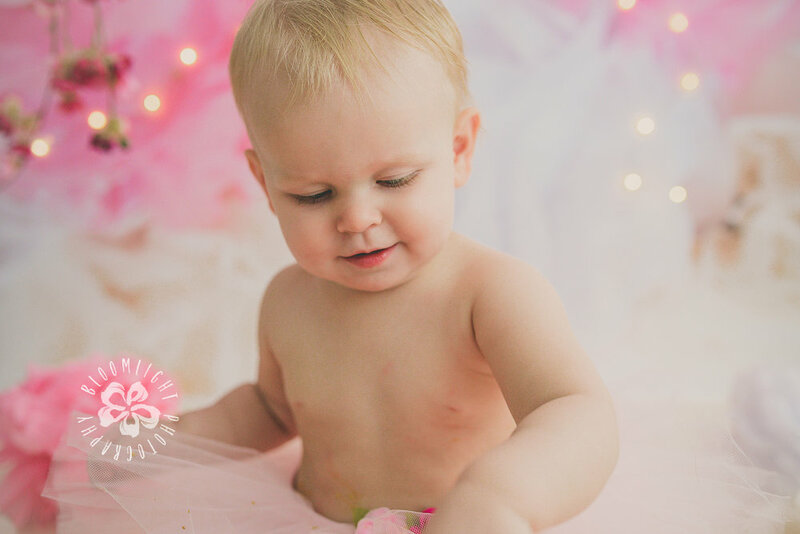 It was almost a year ago that I met Kristina while she was pregnant with her first baby. 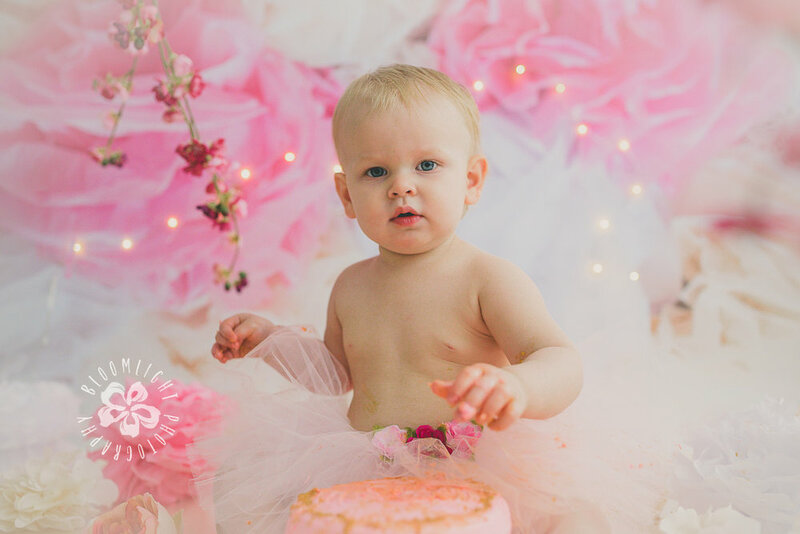 We had a wonderful maternity photo session in Oakville, Ontario by the lake. 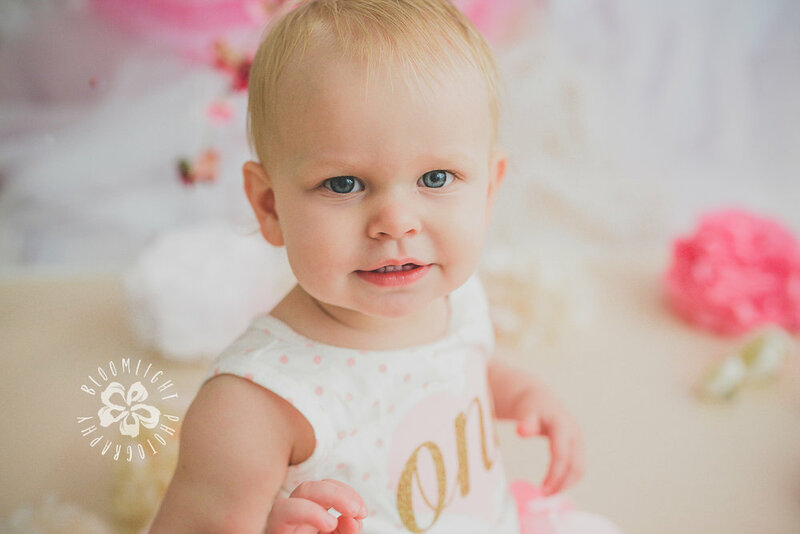 Now, her beautiful blue eyes baby girl is in my studio for her first birthday smash cake session. 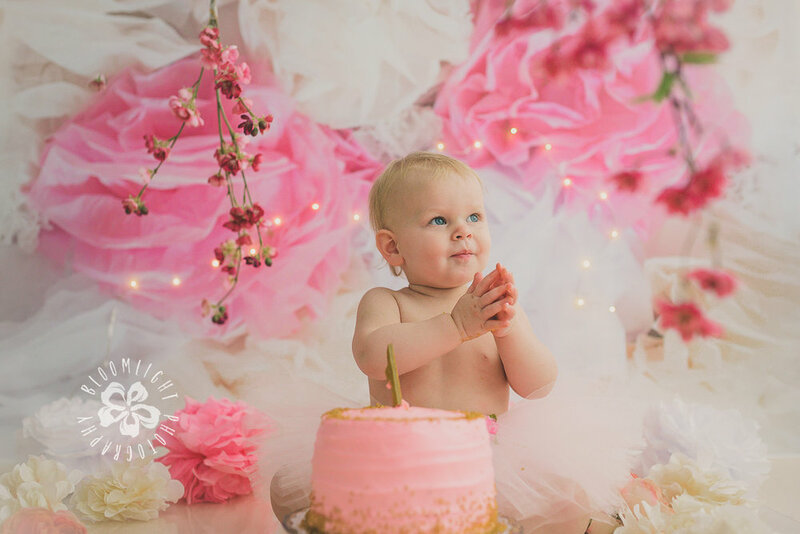 Kristina chose the colors pink and gold for her little girl and I designed her photo session with spring and bloom theme. 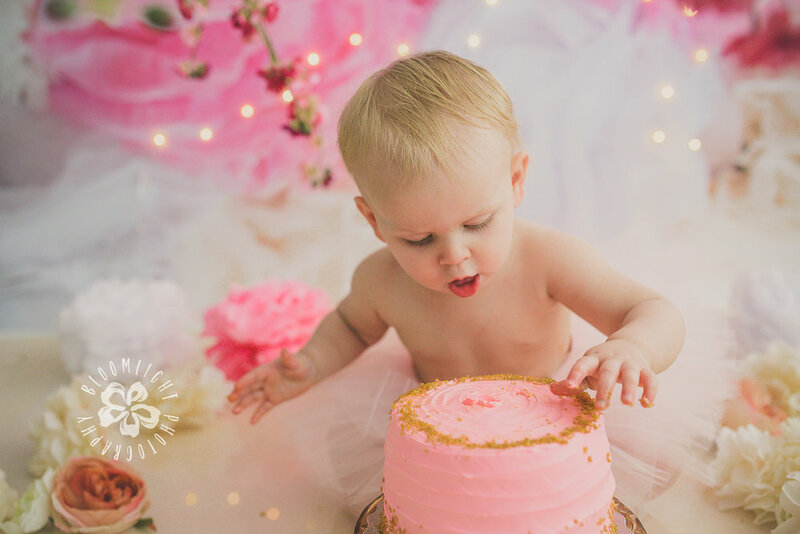 Pink flower background with some added light and gorgeous pink cake with gold sparkles by my lovely friend at Cupcakery by Mariel, made this birthday session as beautiful as the images below. 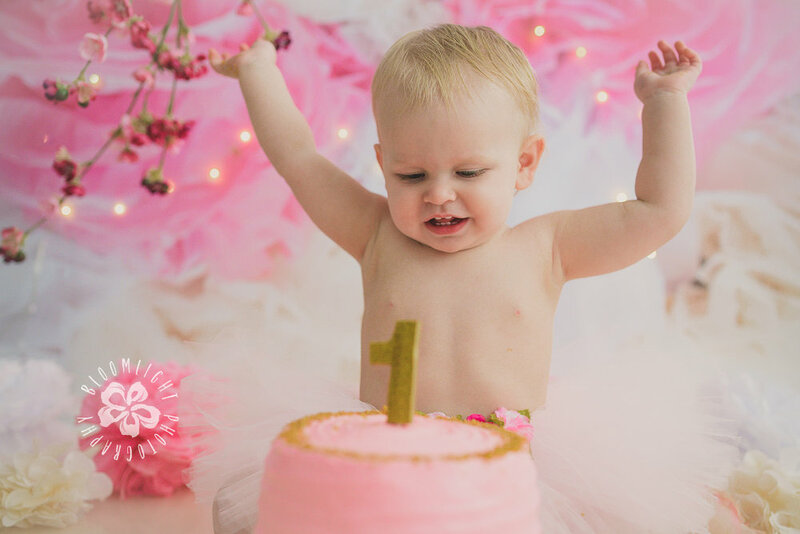 Is your baby turning one soon? 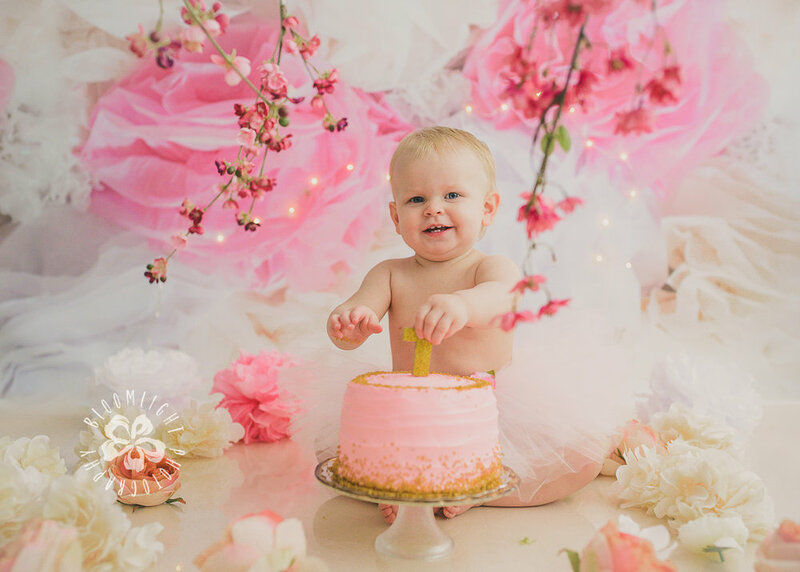 Don't hesitate to contact Bloomlight Photography for in-studio or at home first birthday cake smash session.